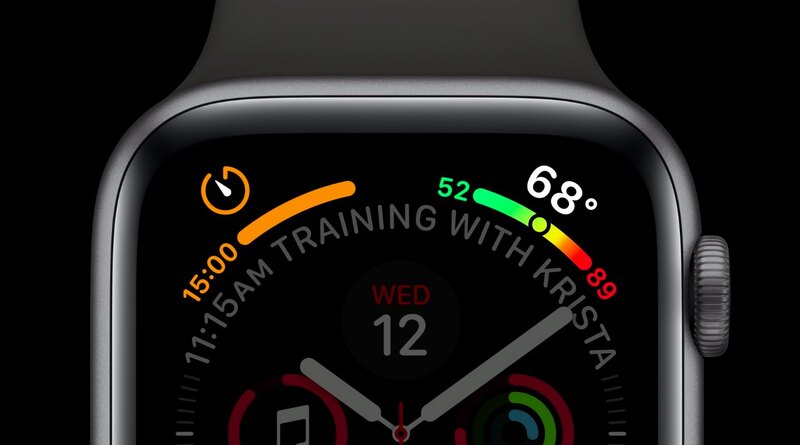 Complications—small elements rendered on the Apple Watch face that provide quick access to frequently-used data—have received a boost on Series 4: all-new templates now let brand new elements, such as full-color images, text and gauges, follow curvature of the display. Complications are a great way to connect users to their favorite apps with every wrist raise and keep them informed throughout their day. 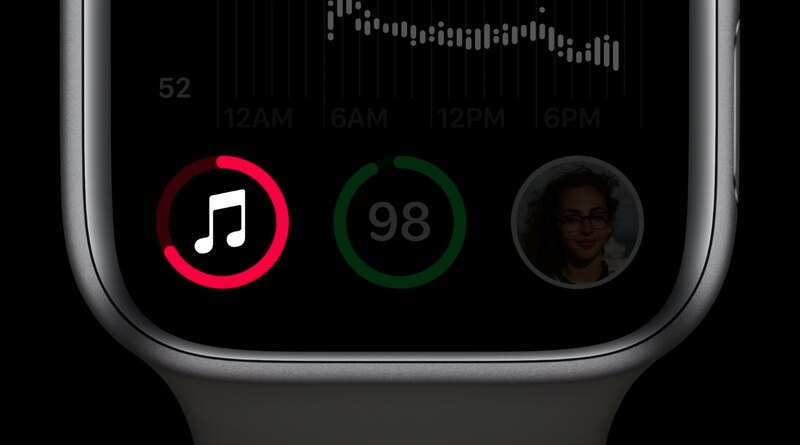 Tapping a complication launches its underlying app. Complications are available for Apple’s own and third-party apps. In an app called Dexcom, the complication allows for continuous glucose monitoring. Another example: the Streaks complication shows daily progress on tasks on the watch face. 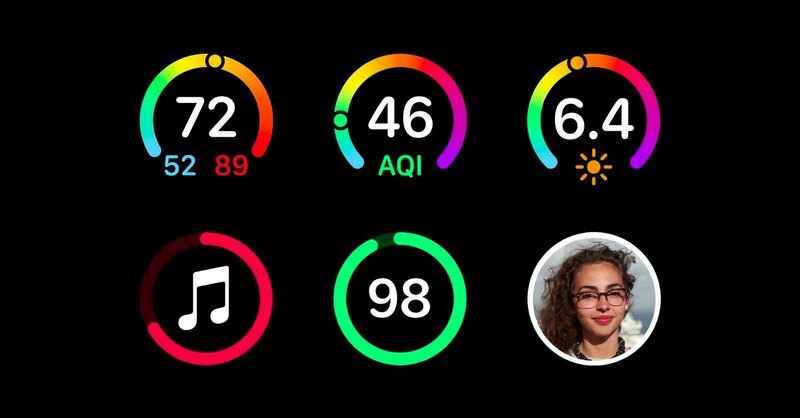 With Series 4, Apple’s added improvements to its underlying APIs to let app makers create full-color complications for the new Infograph and the Infograph Modular faces on Series 4. These dense new Series 4 complications are informative and way more precise. 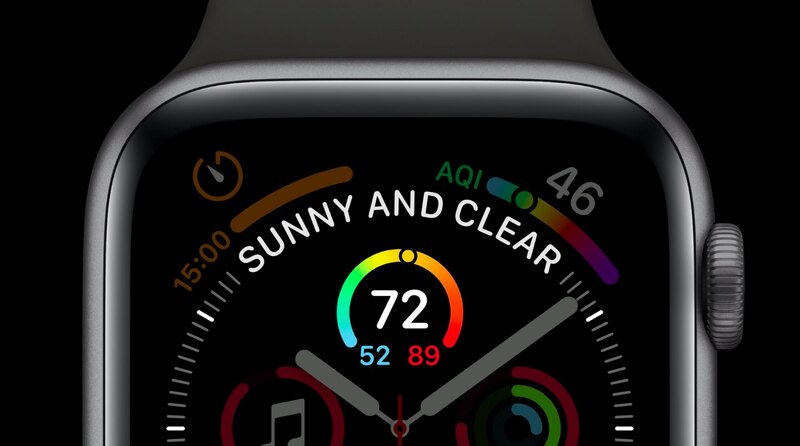 With support for the larger Series 4 screen, new templates let third-party makers offer a more detailed view of their apps from the watch face. Apple Watch complications are realized through ClockKit. 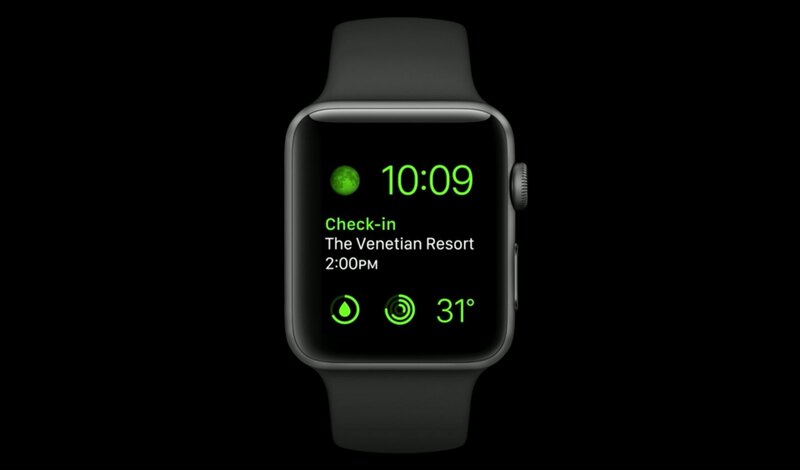 ClockKit is a software framework in watchOS 2.0 and higher designed to support displaying apps data on your watch face. In watchmaking, these things are called complications. ClockKit now supports enriched Series 4 complications so app makers can write compilations that take full advantage of the rounded display. 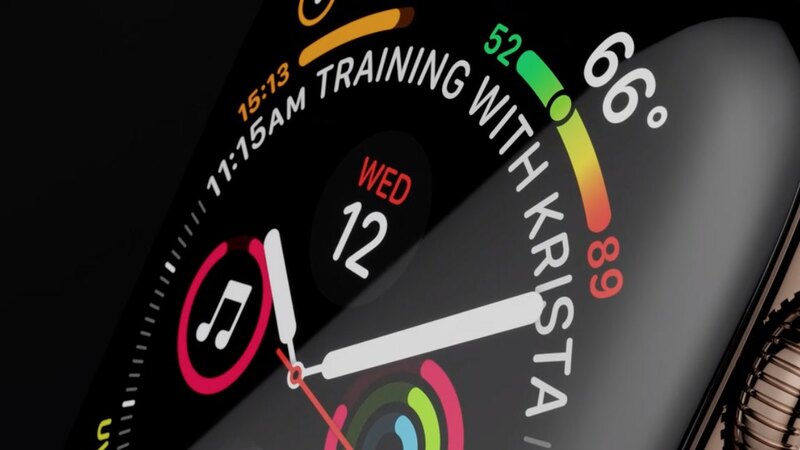 ClockKit includes templates for laying out complication styles on the watch face that support custom arrangements of text, images, completion rings and other elements. Coupled with data providers, these templates let complications visualize formatted content on a small segment of the watch face. In other words, data providers bring the data to the complication to display on the watch face while templates format the data appropriately for the different watch face designs. 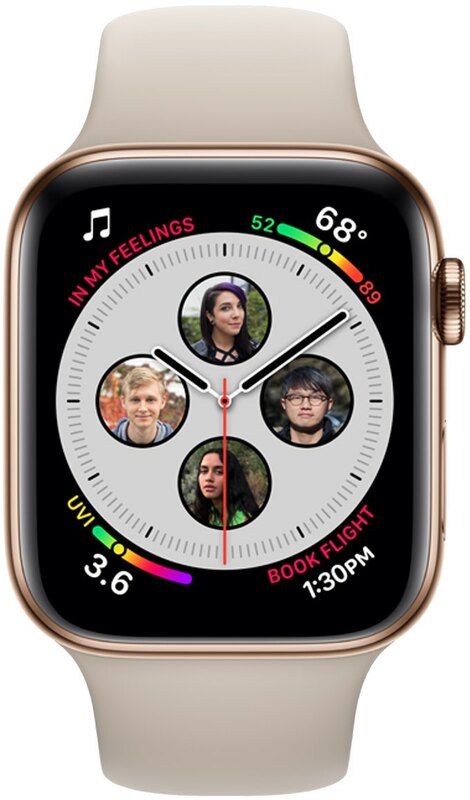 As mentioned, the new and enhanced complication families available on Series 4 are only available through either the Infograph or the Infograph Modular face. Other watch faces can display old school complication styles, but not new ones like curly gauges. 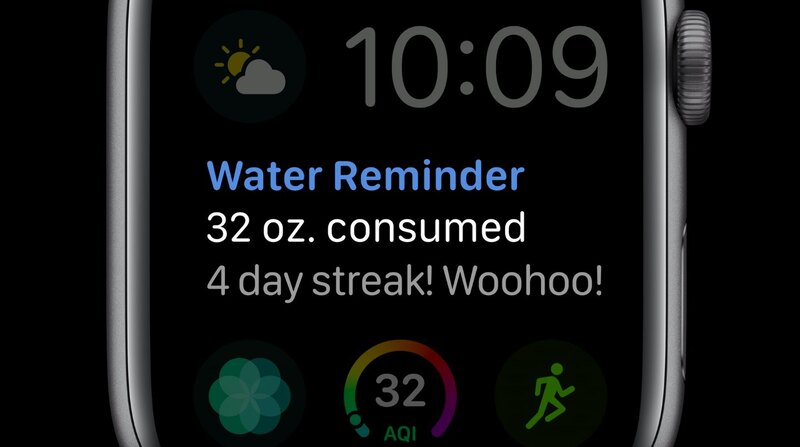 thanks to the updated system-provided templates on Series 4, these new complications now support features like extending into the corners of the display, presenting information in full color, using images in the middle of the watch face and so forth. Conveniently, ClockKit has gained a few new data providers that support the new complication families with modern new elements like gauges, images and so forth. Gauges are progress bars used for illustrating progress completed or a value within a range. A time-interval gauge, such as that in the Timer complication, would automatically animate the values as they change. Gauges can be single-color or use a custom gradient. Either way, color can be set to fill the gauge as the data progresses. If the data is a range, it uses a ring to indicate the value. This is useful for illustrating progress on complications focused on weather, fitness, health and more. 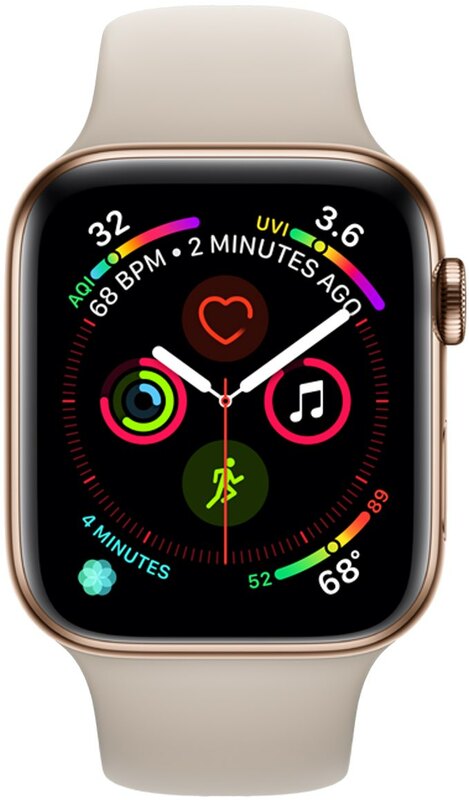 Series 4 complications can also display full-color images on the watch face, which ups the visuals a few notches. On older models, complications were limited to monochrome images. And with text providers, complications can display several text-based elements, including the current date and time, as well as time ranges and automatic count-downs/ups between two dates/times. Multiple text providers can be chained together easily, and each can have its own tint color. This is useful for creating differently-colored strings that a complication might want to use for branding purposes (i.e. to display the precise numerical values of your Activity rings). It’s time we illustrate some of the creative possibilities afforded by the new system templates. 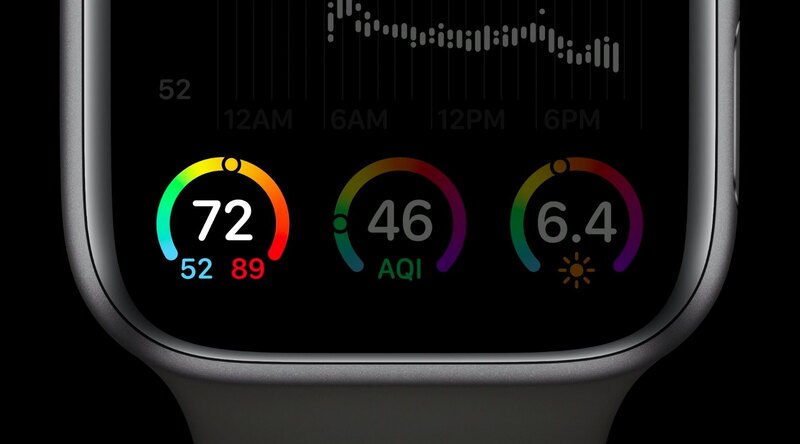 Available on the Infograph face, this one curves along the corners of the display, allowing for way more content while making stunning use of the rounded Series 4 display. Available on both the Infograph and Infograph Modular watch faces, this template gives a complication the ability to combine gauges and text. It typically shows gauges at the bottom of the display, with handy values at the end of the range included in the gauge. As the image right below attest, a closed gauge is also possible. These gauges can use full-color images or text in the middle, or even an image across the entire complication area. Available only on the Infograph watch face, this template does something clever: it wraps a custom UPPERCASE text within the time bezel. Seeing text information like weather forecast curved along the time bezel looks really neat, as evidenced by the screenshot. Lastly, the Graphic Rectangular template allows you to use highly visual, full-color images in the center of the watch face. 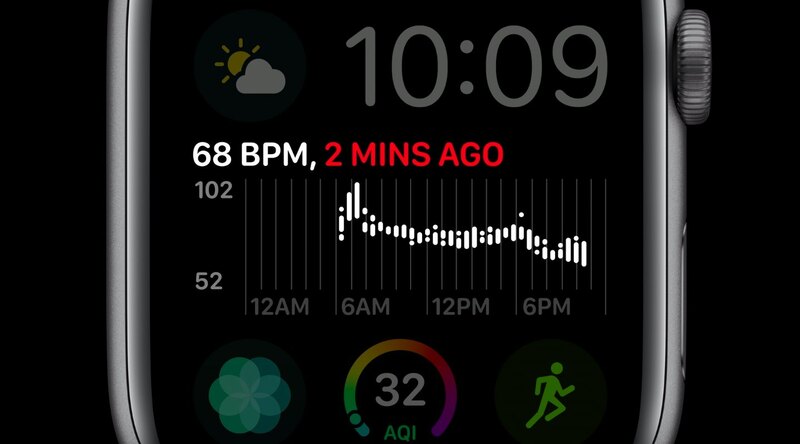 These can be used for anything from displaying bio images of the user’s favorite contacts to showing a more detailed heart rate graph and beyond. The main image can be coupled with gauges and text for added effect. This template is available exclusively on the Infograph Modular watch face. These new Series 4 complications available on the Infograph and Infograph Modular watch faces are updated with the same frequency as your old complications on previous watches, meaning 50 guaranteed push updates every 24 hours. If the app containing a complication uses the Background App Refresh feature (managed through My Watch → General → Background App Refresh in the companion Watch app), or is in your recently-used list in the Dock, it can update the complication once every hour. The only potential downside of the new complications on Series 4: the system templates that allow for image-heavy or curly layouts, like Graphic Circular or Graphic Rectangular, may tax the CPU and affect battery life. As a result, and this is pure speculation on our part, stuffing your watch face with a bunch of curly complications in the corners might affect battery life. And last but certainly not least—in appeasing visually-impaired users, Apple has permitted developers to boost their complications with VoiceOver. This is especially important if a complication only uses an image and no accompanying text that VoiceOver could read. 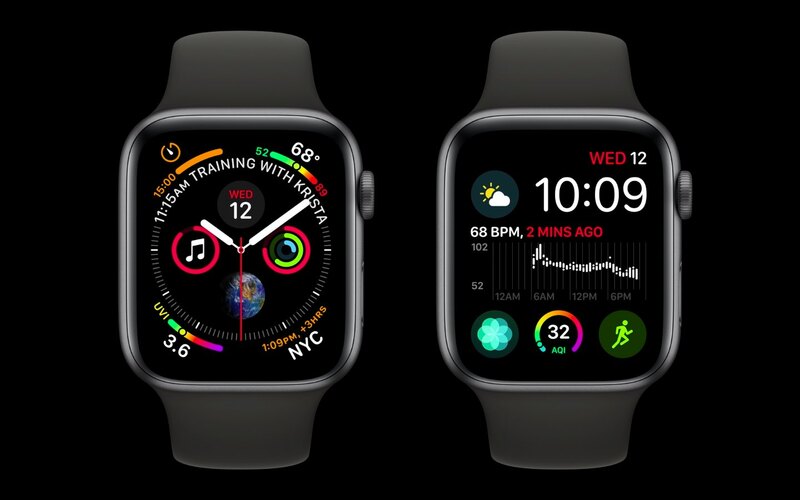 To learn more about how the new Infograph and Infograph Modular watch faces on Series 4 allow for all new ways to create engaging, full-color complications, be sure to watch Apple’s Tech Talks developer video, titled “Developing Complications for Apple Watch Series 4”. We are very eager to hear your opinion. These new complications with their assorted templates really do take the best advantage of that gorgeous OLED screen on Series 4, coming alive with color, curves and images. To reiterate, only the new Infograph and Infograph Modular watch faces support the new complication families brought by Apple Watch Series 4. You cannot get them on older watches as they lack bigger screens to support Series 4’s much denser complications. Tick-tock, hit us in comments!